Last month we talked about the clog-clog of the clogs: now we have here another pair of stereo shoes, the flip-flops. I chose them to represent the zodiac sign of Cancer, whose season starts today. 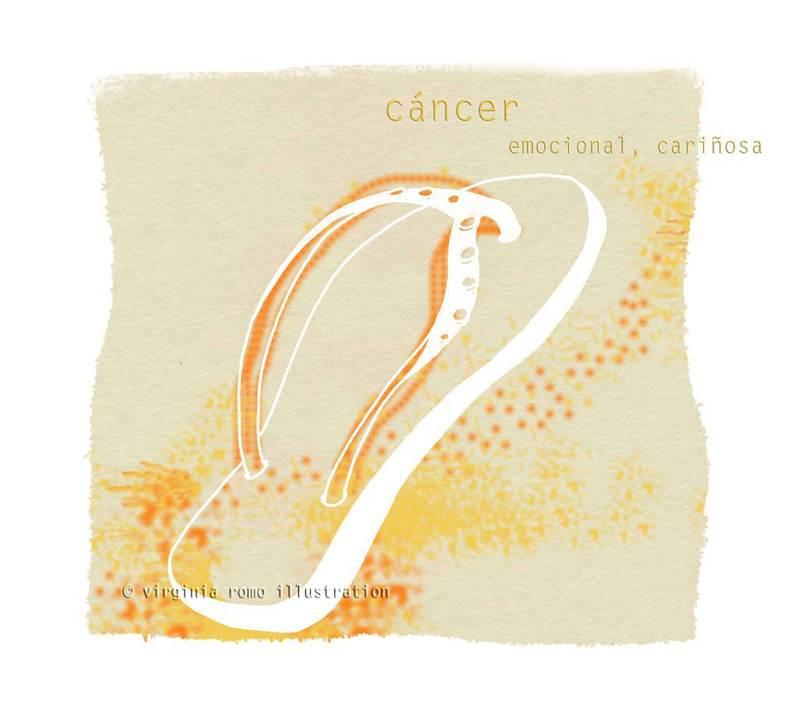 The reason this time wasn't the characteristics of Cancer (emotional, caring) but the crab that stands for this sign: it makes me thing of long happy days searching for these little funny creatures in the rocks on the beach of my hometown. And when you think about the beach, flipflops (and icecream?) is the next thought. The crabs were (almost) always faster than us children, and wearing flip-flops did not really help. Never mind, the final prey was always zero: we would free all captured crabs after playing a little bit with them in our buckets.